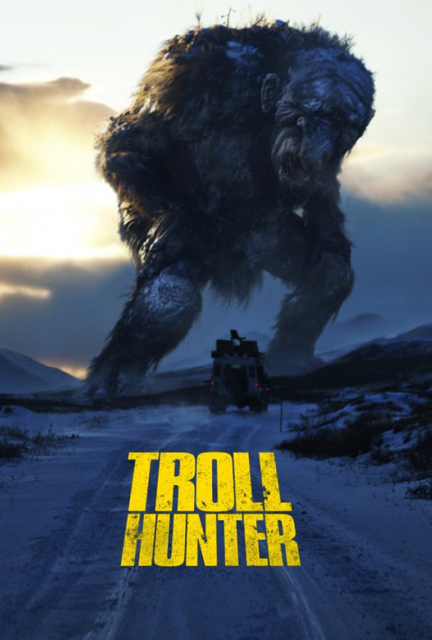 OCTOBER HORROR PARTY REVIEW #11: Trolljegeren (Troll Hunter) (2010) – dir. André Øvredal | Films Like Dreams, Etc. 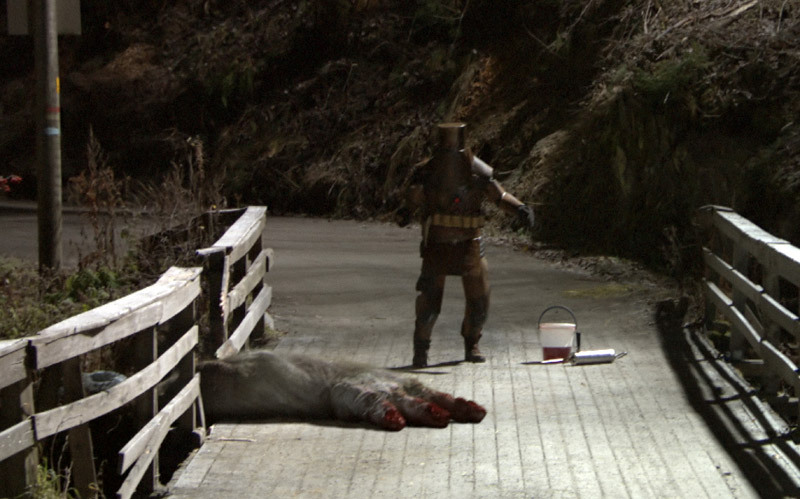 Leave it to the Norwegians to come up with some of the most fascinating concepts in modern horror. Troll Hunter and Dead Snow alone exemplify the rich yet largely ignored cinematic culture that Norway possesses (I’ve yet to see the latter, but it is on my list of horror flicks to watch this October). The concept of Troll Hunter itself sounds particularly intriguing on paper: a mockumentary, found-footage style film on… well, troll hunting. While the results themselves leave for us a particularly mixed bag, it is, for the most part, a really solid, effectively intriguing piece of work. What could have easily ended up as an “all gimmick, no substance” sort of feature, it does a great job at fleshing out its narrative in some rather unexpected – and pleasant – ways. First thing’s first: the trolls themselves, while not particularly scary, ended up to really work well in the grand scheme of things. It’s a really risky move for a horror film to not leave much to the imagination when dealing with monsters and/or the supernatural. The Blair Witch Project ushered in the found-footage subgenre with absolute perfection by keeping everything incredibly vague and, therefore, unsettling as all hell. Even Cloverfield, though dealing with a skyscraper-high creature, spent very little time lingering the camera on its presence and instead focused on the chaos and destruction it caused. 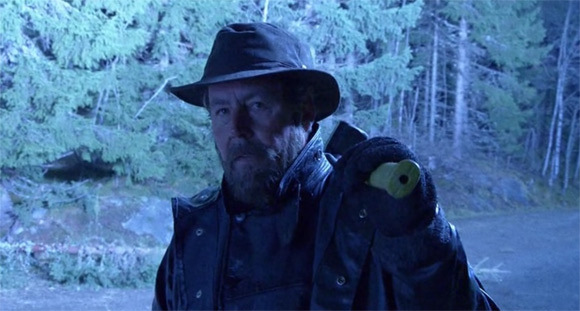 In Troll Hunter, the exact opposite is done; when the trolls appear, they are full-fledged and take up a lot of space in the frame. Thus, they seem more like characters to the story than abject threats to the characters the narrative wants us to care about. This does diminish the effectiveness of the film as a true “monster movie”, but not quite so much as an action-thriller with monster elements. The CGI trolls are rather well-developed, so their villainous nature is never truly diluted – they’re just never quite as scary as the narrative wants us to believe they are. And not only do we see the trolls, but we’re told practically every little thing about its species, some of which I’m sure goes beyond traditional troll mythology. Once again, the film is done through a manner intent on implying a sense of realism, as if the film were a true documentary and not a work of fiction. It even goes as far as bookending the narrative with title cards that state the mysterious origins of everything filmed, as well as the real-world implications of this “footage”. And indeed, much of this “footage” can be very boring at points. The world it creates is intriguing as all hell for sure, but much of the exposition is spoken and follows a rather linear timeline. Predictability aside, however, Otto Jespersen’s performance definitely steals the show. Playing the signature troll hunter that the film revolves around, it’s pretty awesome to see an individual who truly devotes his entire life into something that he feels is his purpose, his passion. My very favorite kinds of documentaries detail people of this very nature; although this isn’t a true documentary, it certainly doesn’t harm its case. For the most part, I was pretty fascinated with just how much care was put into crafting together such a compelling story. Putting aside the obvious hokeyness present in certain aspects of it (especially the trolls being able to sniff out “Christian men”), it’s definitely a fun flick in its own right. I could certainly imagine it being just the ticket for someone who couldn’t care less about originality, artistic craftiness, scariness, or just plain seriousness in general – someone who just wants to see some damn trolls! This entry was posted in October Horror Party, Reviews and tagged 2010's, André Øvredal, horror, Norwegian, October Horror Party, Troll Hunter. Bookmark the permalink.